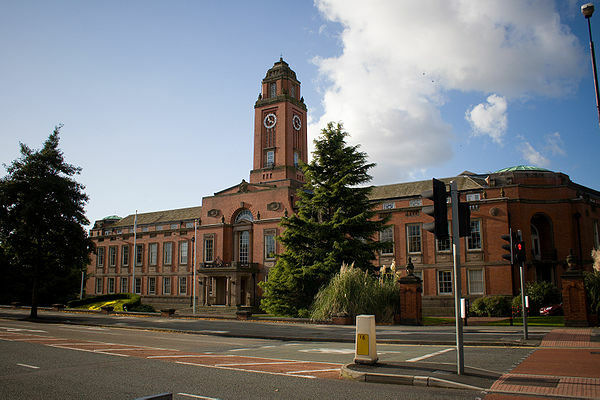 A group of Trafford residents opposed to the Council’s proposed £24m budget cuts are holding a peaceful protest outside Trafford Town Hall at 6pm on Wednesday 18th February to coincide with the full budget meeting that evening. Steven Lavery, from the group ‘Trafford Residents Against Cuts’ said: “This is crunch time for saving many vital public services and the voice of residents really does count. We have just seen the Council back down on their decision to cut some school crossing patrols, thanks to pressure from protesting parents. We need as many residents to show their support before we lose our children’s centres, disability services and more. A Trafford service user is taking Trafford Council to court over the lack of choice offered to residents in the planned adult social care cuts. The Court Case will be heard on Monday 16th February at 10am at the Civil justice centre, Bridge Street, Manchester. Residents are welcome to attend. 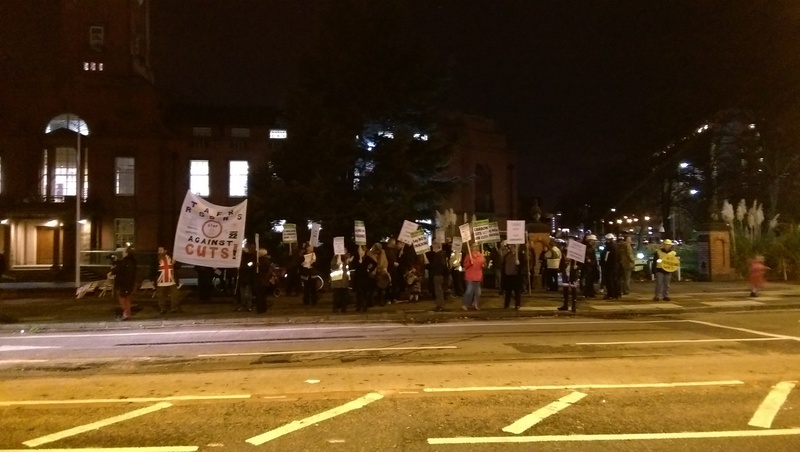 With little over a month to go until the Council meets to discuss the proposed £24 million worth of budget cuts, a group of local residents are urging people to join them in protests to save vital services. Stephen Lavery, from Trafford Residents Against Cuts (TRAC), the group behind December’s peaceful protest outside the Town Hall, said: “If these cuts go through, families, young people and the disabled in Trafford will lose vital services. We are not talking ‘nice to haves’ here, we are talking Sure Start centres, school crossing patrols, youth centres and £3.7 million from the learning disability budget – the kind of services people rely on every day. From 8:15am on Tuesday January 20th, protest to save the School Crossing at the main pedestrian lights on Chester Road in Gorse Hill. From 8:20am on Tuesday January 20th, protest to save the School Crossing at Washway Road/Eastway in Sale. 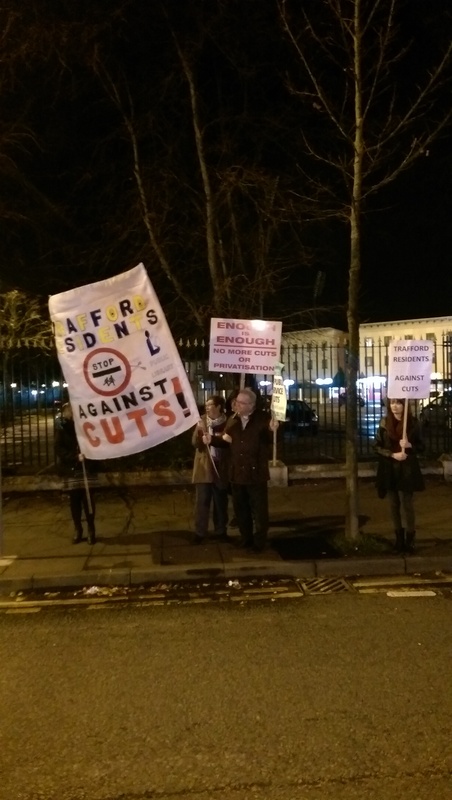 Main protest against the cuts, from 5pm on Wednesday January 21st, outside the Town Hall on Talbot Road to coincide with the Executive and Council meetings. TRAC will be handing in a petition against the cuts with over 2,000 signatures. TRAC are also planning a further ‘We Love Trafford’ protest on Valentines weekend, starting at Stretford Library and ending at the Town Hall and will release more details soon.